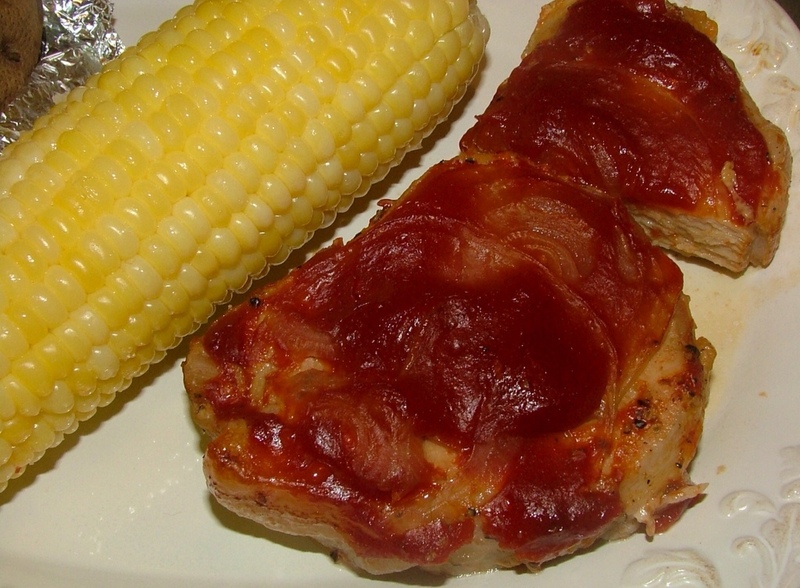 When I was a little girl, one of my favorite meals was my Momma's baked pork chops! When we're young we always believe we have all the time in the world to record those special family recipes, but time has a way of stealing some of those favorite dishes and the memories that go along with them. I have a memory of being about 3 or 4 . . . We were at a huge family picnic when I tasted a chocolate cake with some kind of sour cream frosting that was so wonderful! I can still see it and remember how great it tasted! The problem is, no one ever wrote down the recipe, with my Dutch Gram Van Andel's secret ingredients! How sad! What a wonderful way it would have been to remember her everytime we made her special cake! It seems like most important events in our lives all somehow end up revolving around some kind of food. This is a recipe my Momma used to make for us! It's simple, but very delicious! 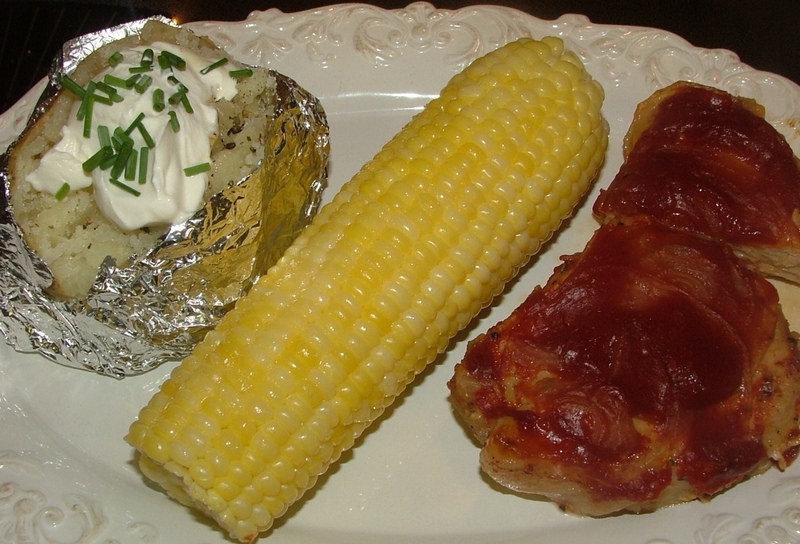 Make sure you scrub up some large baking potatoes, pierce and cover with aluminum foil, to bake along with your pork chops. You may also want to throw in a dish of baked beans to go with your meal! 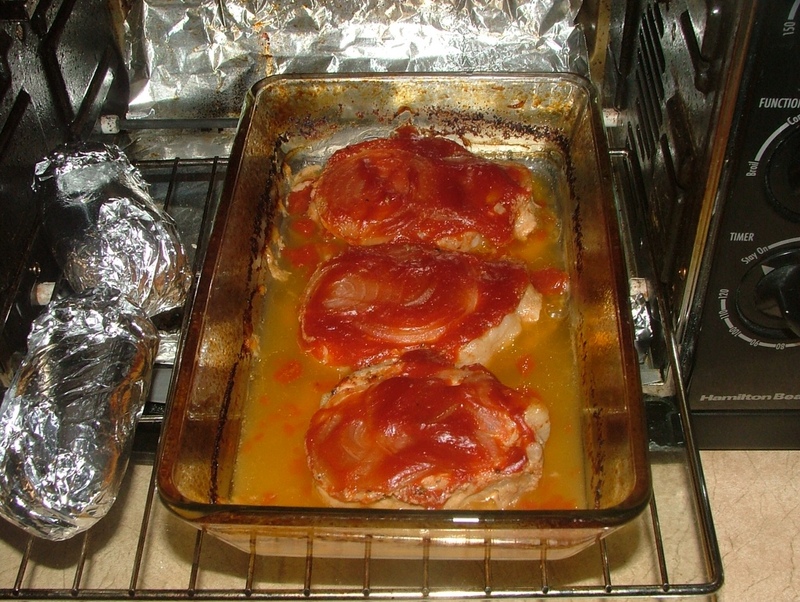 Place pork chops in a baking dish and season with salt and pepper. 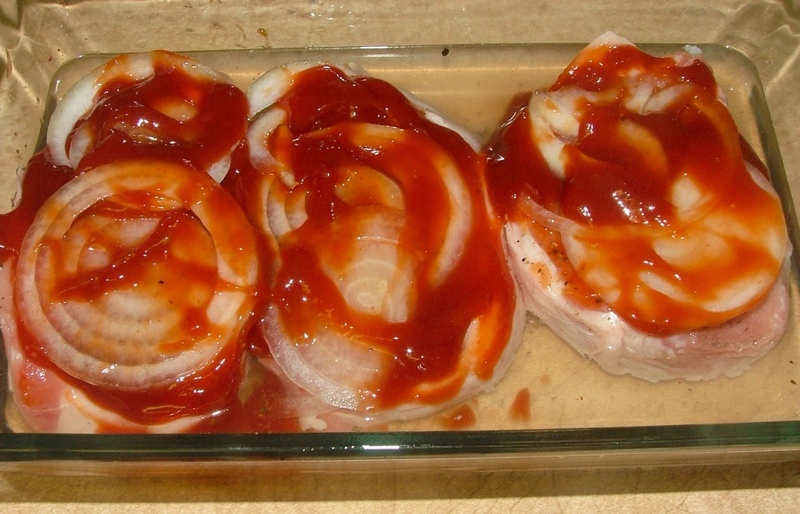 Cover chops with ketchup, onion slice/s and a bit more ketchup. Add water to baking dish so it is 1/4-inch below the top of the chop. 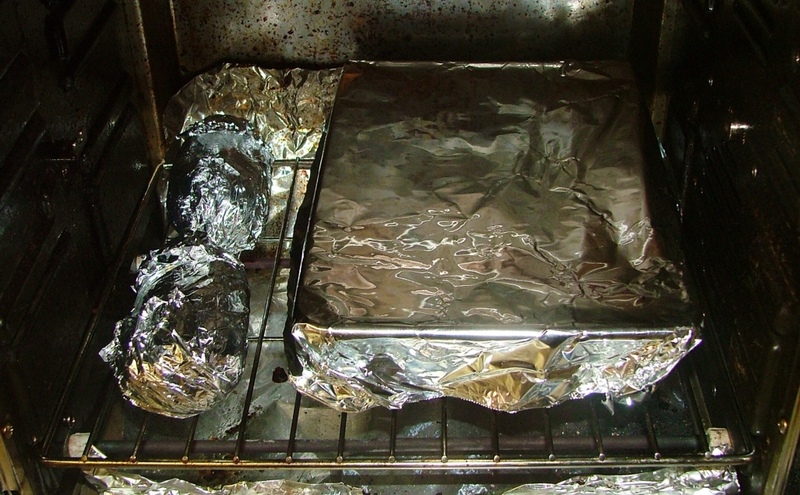 Cover baking dish with aluminum foil, bake for 1 1/2 hours. Salt, pepper, add ketchup, onion and a bit more ketchup. I'm using my toaster oven because it's 110F. here today and we don't need extra heat in the kitchen! Remove foil and bake for 30 more minutes. While there is still time, ask those questions, get your favorite family recipes written down, and share them with your sons, daughters, and grandchildren! Don't forget to also share your memories connected to that favorite food. As I write this post today, I'm a bit tearie-eyed, remembering the great cooks in my family who have passed on. I can't think of a better way to honor their memory than to share their recipes and perhaps a memory about them. Just feeling sentimental . . . Over at Julie's!! !